Griggs International Academy (GIA) seeks ways to support and serve already existing Adventist schools. The GIA administrative team believes Adventist schools can work together and create a strong foundation to keep Adventist education a viable option for students nationwide. Their accreditation allows them to work with students globally, however, we have certain initiatives designed specifically for our North American Division (NAD) schools. GIA’s APLE (Accredited Program for Learning Environments) program is a tool used to help enrich NAD Jr. Academies and Academies with curriculum and teachers. APLE was developed cooperatively by the North American Division Office of Education (NADOE) and Griggs International Academy to meet the needs of our students unwilling or unable to go to a boarding academy hundreds of miles away. By enrolling with APLE, such schools are able to use a combination of GIA and local school resources to offer grades 9-12 to students who might otherwise enter the public school system. It is designed to fit into the traditional school year. GIA has a multi-tiered Student Information System (SIS) that allows our partners, teachers, supervisors and students to be directly involved in student progress. This portal enhances the way GIA communicates and manages the Adventist schools that partner with us. On occasion, and with approval from both conference and union, schools may offer a complete high school program using APLE. Students of such schools receive Griggs Maryland state-approved diplomas. APLE may be viewed as an interim solution for a school wishing to permanently expand its program. All partnerships between Adventist Schools and GIA must be pre-approved by the local conference and union education departments. Richmond Academy’s Connected School program, an innovative distance learning program for high school, was launched in 2012. Unlike most other distance learning programs, this one connects teachers and their students on multiple school campuses together via live video conferencing technology throughout the school day. This is not “online learning,” but rather a real time, fully interactive program that provides students and teachers the ability to interact as if they were all located in the same physical space. In addition to daily classes facilitated by video conferencing, all students come together at least once a month for spiritual and social activities, ﬁeld trips, community service projects, school events such as concerts and banquets, and curriculum-based activities. Prairie Adventist Christian eSchool (PACeS) is an exciting opportunity for Adventist students living in and outside of Alberta, Canada. K-12 Adventist Christian Education through daily(M-Th) online classes with teachers and other students wherever you are. In Alberta, a Home Education program is available with a facilitator doing home visits twice a year. This is a great option if you like being in charge of your child’s education. PACeS offers Alberta-approved online courses. They are also a part of the government testing for Grade 12 Diploma Exams. Students who successfully complete the Alberta High School requirements with PACeS will receive an Alberta Education Diploma. Students will receive formal reports throughout the year. Contact them for more information. Phone: 403.848.3165 Fax: 877.300.8843 e-mail: principal@pacescanada.org. West Coast Adventist Christian School (WCACS) is a Seventh-day Adventist Distributed Learning school. The staff is committed to providing quality education in a Christ-filled online environment. The school is part of the world-wide Seventh-day Adventist school network. The Seventh-day Adventist educational system includes elementary and high schools, colleges and universities in countries around the globe. For more information, contact WCACS. Atlanta Adventist Academy offers a revolutionary educational product called TRUeConnect. TRUeConnect’s cutting edge technology-based education delivered in 21st Century containers, wrapped in quality, national and Adventist standards, and value-added instructional excellence. AAA’s teachers are fully NAD certified. The TRUeConnect program is an education model designed specifically for Millennials and their children! The Difference: TRUeConnect embraces real time active learning for students from many locations, joined together through telepresence technology that really works. They converse and interact with teachers and each other as though they were in the same location. Students connect from their local campus–or even from home–into live video classrooms. Students are able to form lasting, meaningful relationships with their teachers and their classmates even though they are miles apart! To learn more about how the TRUeConnect program can benefit your student, family, or campus, please get connected at info@aaa.edu. 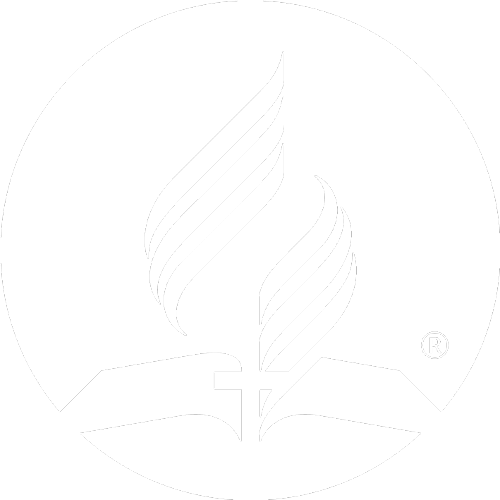 Forest Lake Academy (FLA), founded in 1926, is a college-preparatory Seventh-day Adventist Christian boarding academy for 9th –12th grade students. Located in Apopka, a suburb of Orlando, it is owned and operated by the Florida Conference of Seventh-day Adventists. FLA is strengthened from the diversity of cultural and ethnic backgrounds blended together in work, play and everyday life. FLA also has a distant education program, in which classes are taught live, on –campus with interactive video sessions everyday between all students and teachers.